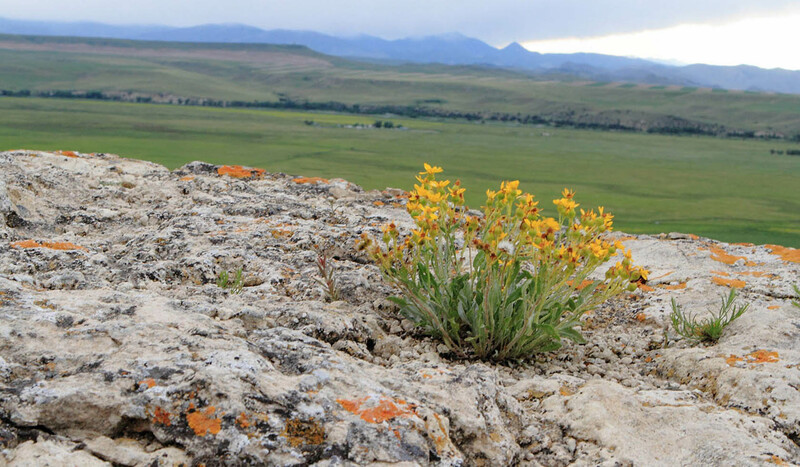 Situated on the edge of a broad valley carved by the Madison River, this high limestone cliff was used for 2,000 years (as recent as 200 years ago) by Native Americans. It enabled them to stampede herds of bison in vast numbers off this massive semicircular cliff, utilizing them for food, clothing, shelter and provisions. 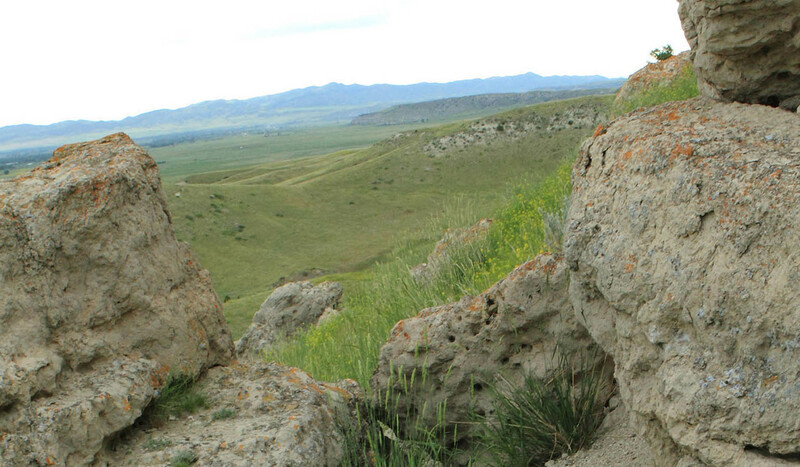 The 'runners' were highly skilled young men trained for speed and endurance and wearing buffalo, antelope or wolf skins, lured the bison to the 'pishkun' or cliff. This was their only means for survival. 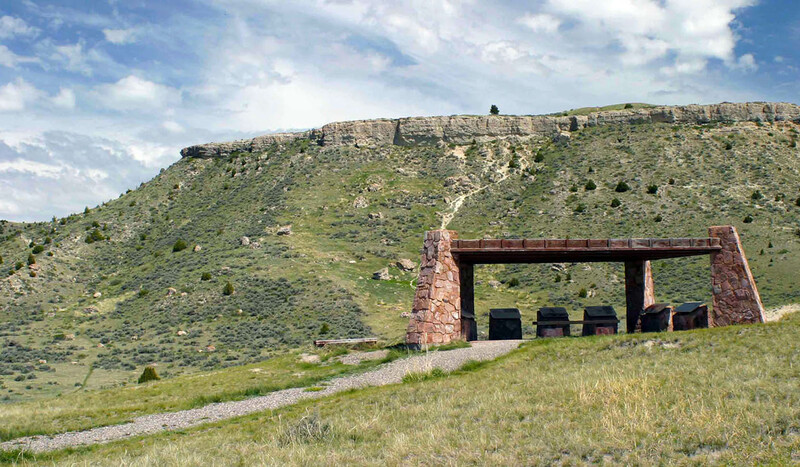 Although the introduction of horses led to the abandonment of this jump sometime after 1700, the rugged outcropping now serves as an inspiring monument to the region's early inhabitants. The park encloses all the main geographical features of a jump site and several formations remain to provide visitors with a glimpse of the cultures, which utilized this method of hunting. Tons of bones still lie buried at the cliff's base, while archaeologists have located the tepee rings of an extensive village. With a little imagination it is easy to visualize the awesome events which occurred here during a drive, the thunderous roar of the stampede, the dramatic sight of the fall, and the frenzy of activity which followed. 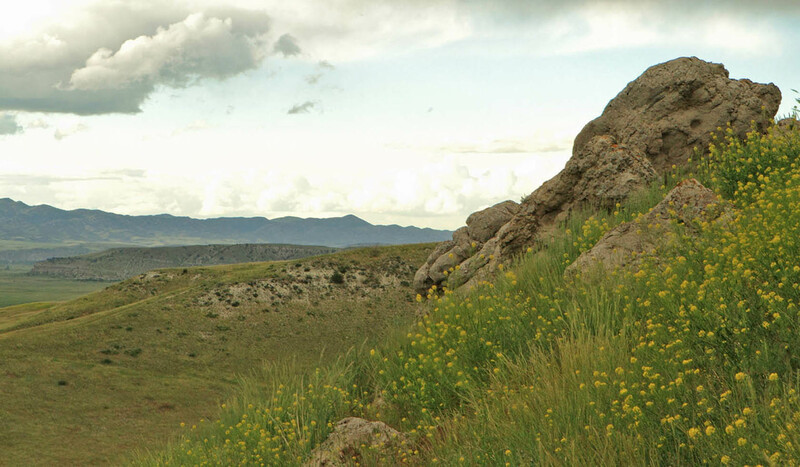 At Madison Buffalo Jump State Park, short walks provide unique insights into Native American culture as well as inspiring views of the valley below. Primitive park designation. The day use fee is $5 per vehicle. 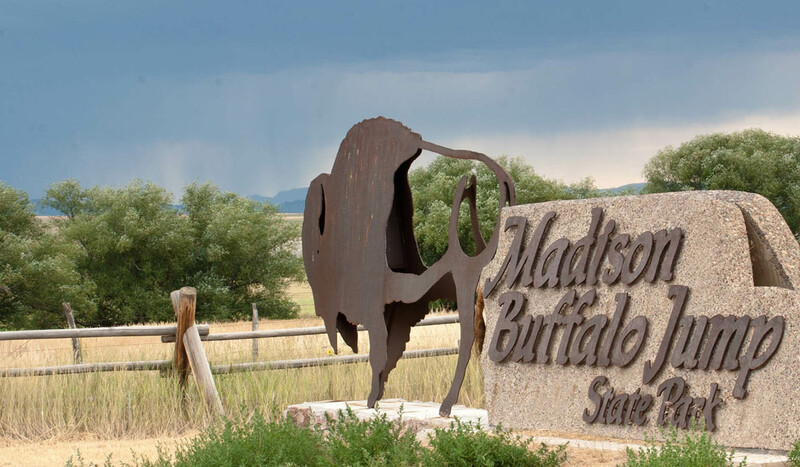 Madison Buffalo Jump is located 23 miles west of Bozeman on I-90 at Logan exit, then 7 miles south on Buffalo Jump Road.